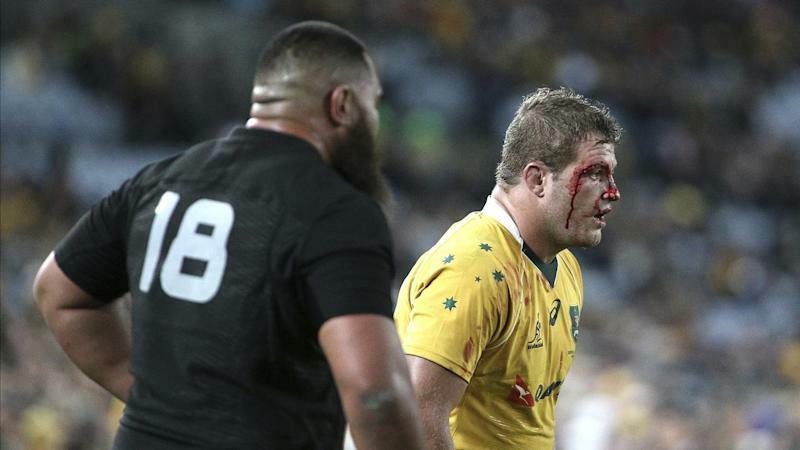 Star Brumbies recruit James Slipper says he will debut for his new Super Rugby team on Friday night, despite copping a rib injury. The former Queensland captain failed to see out the Brumbies' 34-28 trial victory over the NSW Waratahs last week in Goulburn. The 86-Test prop felt the injury after a tackle early in the contest, tried to play on, but came off the field inside 25 minutes. Slipper says heading to the bench was merely a precautionary move. He will line up for the season opener against Melbourne at GIO Stadium. "It's nothing that's going to stop me playing this week," Slipper told the Canberra Times. "It could be a bit painful but, once you get out there, those niggles seem to go away. "It's one of those things - you know what you're in for and you've just got to buckle in for it and get the job done." Slipper was thrown a lifeline by Brumbies coach Dan McKellar after he was effectively axed from the Reds after a horror 2018 season. The 29-year-old battled injury, depression and twice tested positive for cocaine. Slipper is eager to reignite his international career and be involved this year in a third Wallabies World Cup squad. While Slipper is is desperate to play through the pain, winger Lausii Taliauli is in doubt to take on the Rebels. Taliauli went off with a knee injury against the Tahs. But he has been cleared of any serious damage and will undergo fitness tests this week.